A group of skydivers recently took the extreme sport to a whole new level by playing catch using with a coconut high above the clouds. Their throwing game went on for about 40 seconds before it ended as the daredevils had to deploy their parachutes. 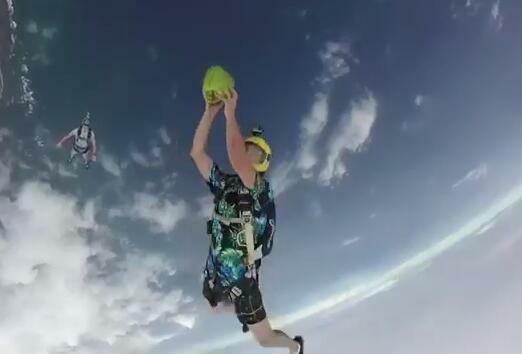 A group of skydivers recently took the extreme sport to a whole new level by playing catch using with a coconut high above the clouds.